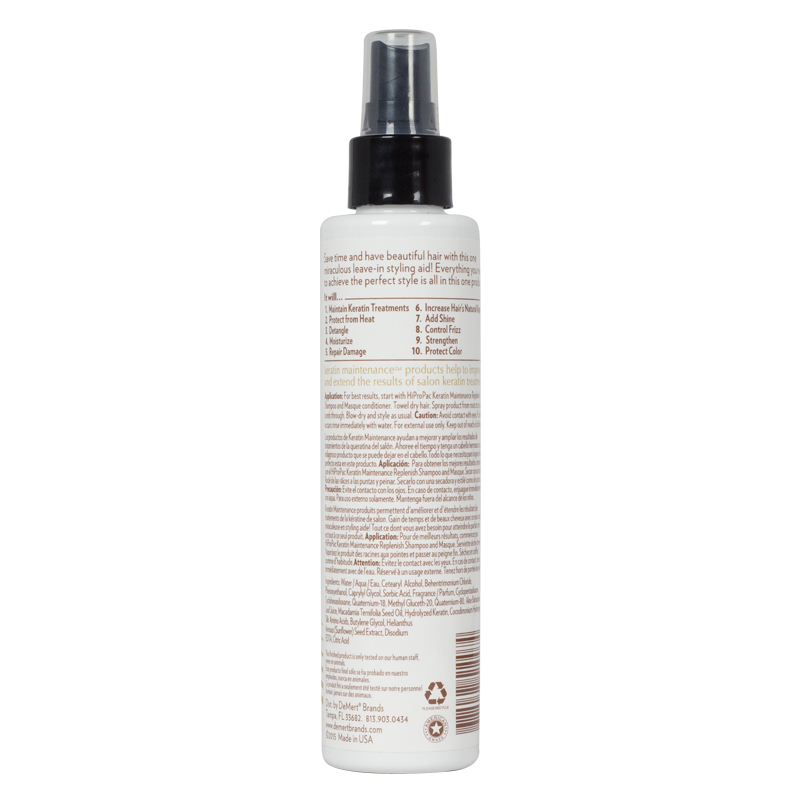 Save time and have beautiful hair with this one miraculous leave-in styling aid! Everything you need to achieve the perfect style is all in this one product. 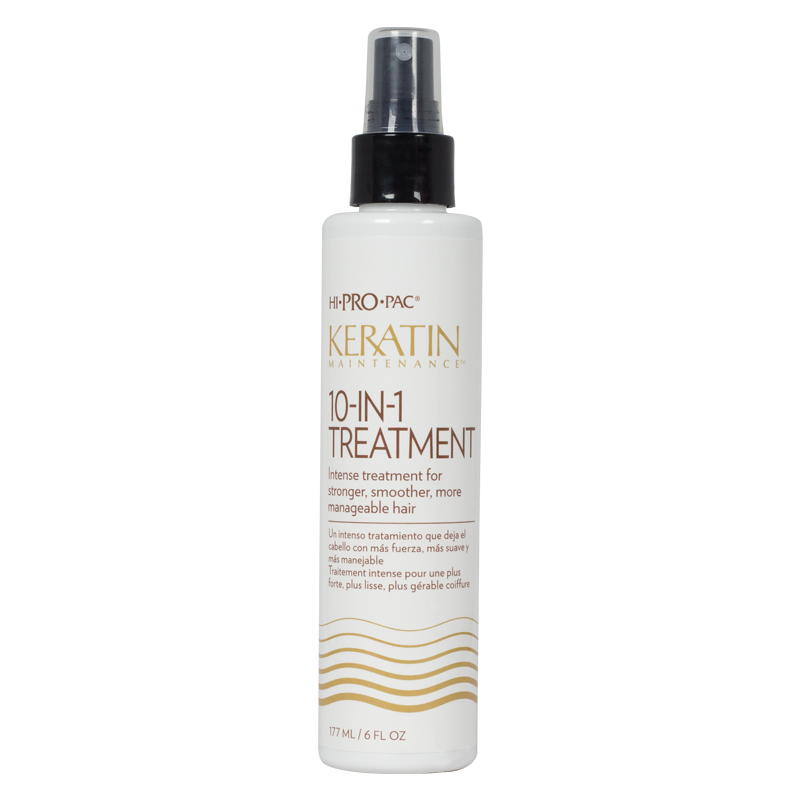 Application: For best results, start with Hi Pro Pac Keratin Maintenance Replenish Shampoo and Masque conditioner. Towel dry hair. Spray product from roots to tips and comb through. Blow-dry and style as usual.